There's a school of thought that says the best way to improve your photography is to spend ages looking at the type of photographs you like and try to figure out why that is. That was the way I progressed, mainly looking at books by some of my favourite photographers. My own belief is that the process hard wires the brain to recognise patterns that appeal to us. We don't so much as go out to copy what we've seen but, rather, we recognise compositions or elements that we instinctively know will produce the kind of image we're looking for. It's looking for that Aha! moment when something clicks. That something is the ringing of a bell that says "you've got what you need in front of you right now". I suppose it works a bit like face recognition software. 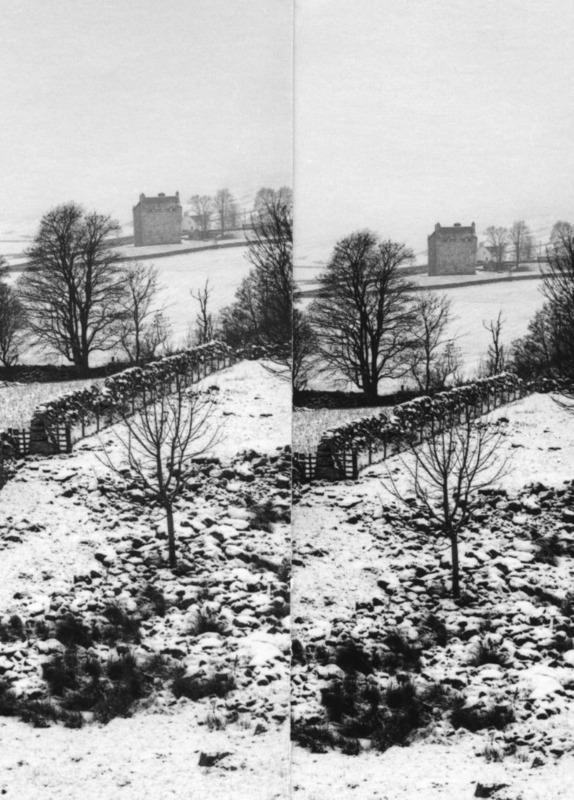 The print scan above is of Forter Castle in Glenisla. It was only when I was looking at it the day after I printed it that it set that little bell ringing. 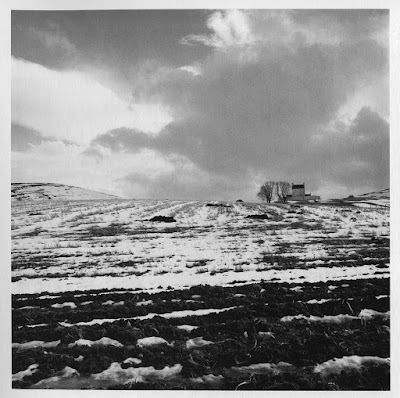 It didn't take much thinking to bring to mind Fay Godwin's shot of Corgarff Castle, near Tomintoul. 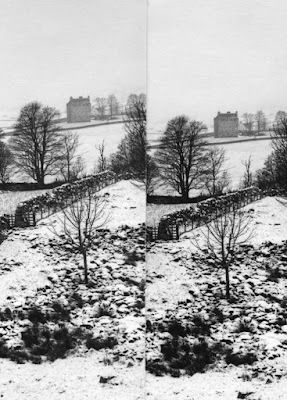 Her picture below, scanned from the book Land, wasn't in my thoughts consciously when I photographed Forter Castle - but unconsciously? Who knows. There is a similarity, though, to the two images. It's not just the placement and scale of the castles that do it. Although the buildings are clearly the subjects of the photographs, they both occupy no more than a tiny fraction of the prints' real estate. 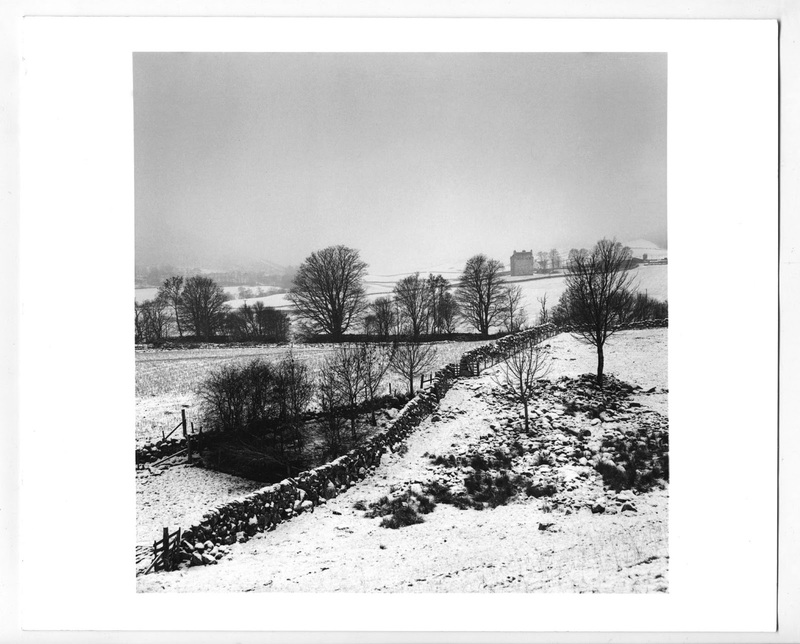 For me, it's the feeling of remoteness and the sense of depth in the composition. The print itself didn't present any difficulties. I'd initially thought it might need grade 2.5 as the photograph was taken on a pretty dull day. But the first test strip showed that this was a bit harsh. Sort of Technical Pan over-agitated in Rodinal. So I dropped down to grade 1.5. You can see the difference between the test strips below with the softer contrast giving a much better impression of what the day was like. 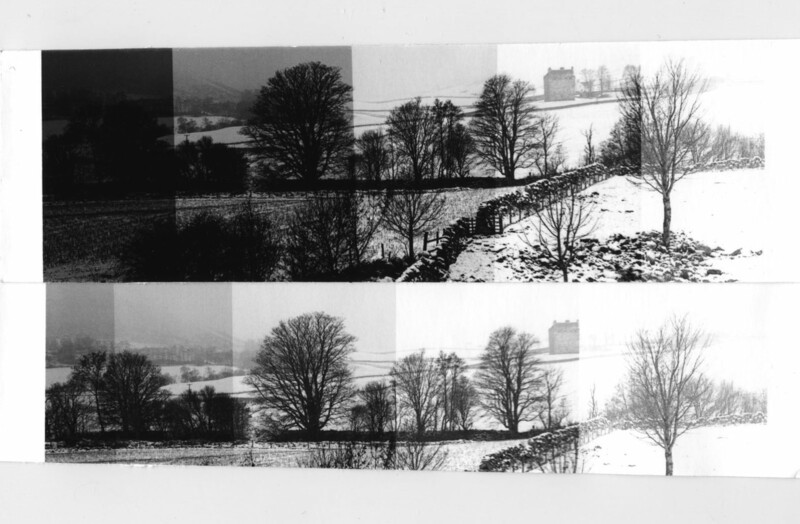 Below are two small test prints I made at approximately the right exposure through grades 1.5 (left) and 2.5. With the harder grade there are very few tones between black and white. The softer filter also increases the aerial perspective by recording the castle in a lighter tone. 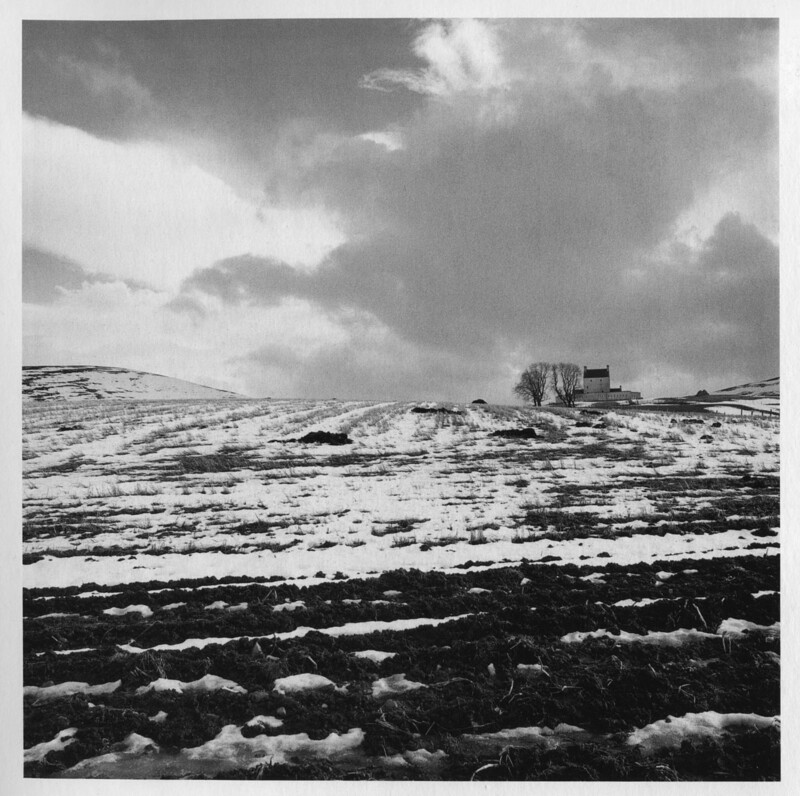 This was the first negative I'd printed from the Zeiss Super Ikonta IV's Tessar lens and very nice it turned out to be. The film was Tmax 400 developed in D76 1+1 and the print got a 15 second exposure at f8 on the Philips enlarger (80mm Minolta CE Rokkor lens) with an extra 15 seconds for the sky and a little edge burning around the bottom and lower right edges. Dare I say it Bruce (send for the photo police now, and I LOVE Fay) but I prefer your image . . gulp . .
Can I ask - is that on a bit of 8x10? Never thought about approaching 6x6 with those sort of borders before . . . Thanks, Phil. Yes, that's 10x8 paper. I'll probably print it vertically rather than horizontally in future. Hmmm - must try it -sort of looks very good! Hi Bruce another very nice print. And I'm sure we are all influenced by culture and that cultural references appear in our work whether we realise it or not. What times do you use for the steps in your test strips? How do you arrive at your burn-in (dodge) times and which filter do you use? 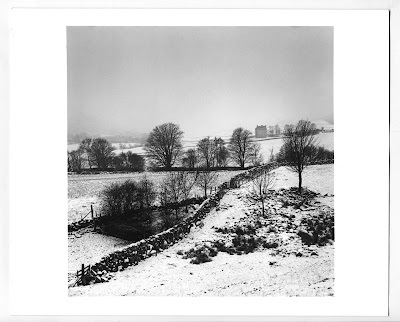 How does the filtration in the Philips enlarger match with Ilford filters? Thanks, Marty. My first test strip is done in 5s, 10s, 20s and 40s intervals. That usually gives me a rough indication of what the actual exposure should be but also provides a lot of other information about, for example, the extra time a sky might need. Armed with this info, I'll do a test strip in regular intervals, usually 3s, i.e. 3, 6, 9, 12. If it looked from the first test strip as if the exposure should be somewhere between 10 and 20 seconds then I'll do a second one of 9, 12, 15, 18 and 21 secs. Dodging and burning in times are derived from information gleaned from these test strips. If I don't have the info I need, say, for a dark area of the print not covered by a test strip, then I'll maybe do a small test strip for that area. As for which filter - I take it you mean when split grading? That depends. If I'm burning in a featureless sky and don't want grain to show too much I'll burn in through a low contrast filter. If I want to accentuate a stormy sky and don't care about more obvious grain I'll use a harder filter. If there's a shadow area that is too dark but has some detail on the neg then I might dodge it during the soft filter exposure only. That means that the shadow is built up mainly from the hard filter exposure which helps bring out the detail that's there. Edge burning would normally be done through the soft filter exposure to tone it down a little without darkening the shadows too much. There's a conversion chart for the Philips control panel that allows you to match Ilford filter grades. I haven't done any testing to see if the Philips range matches the extremities of the Ilford hard and soft filters but it seems good to me.